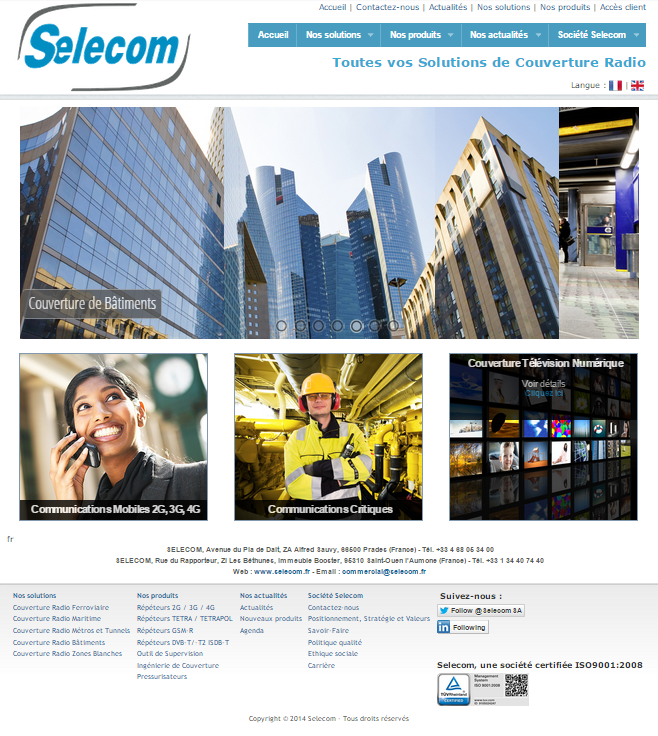 News Selecom - SELECOM website gets a makeover ! SELECOM website gets a makeover ! That's it! Since October 31, 2014, the new website SELECOM is online ! We must say that for 3 years, as changes to SELECOM: the catalog of products and solutions, as well as areas of applications have changed significantly; but the most significant change is that of export development, with many resellers and distributors that are now spread around the world SELECOM. A more contemporary design, clearer navigation and a richer better information to our customers and content partners. Enjoy your browsing and have the pleasure of seeing you soon!